Many of us have been involved in fundraising events and know the time and effort it takes. Special Olympics athletes are also taking time out of their busy schedules to help the organization raise money. I would like to introduce two people who are challenging expectations of what athletes can do and have us wondering where they will go next. Special Olympics Illinois is lucky to have Global Messengers Ela Stoklosa and Nick Lorenz on our team. 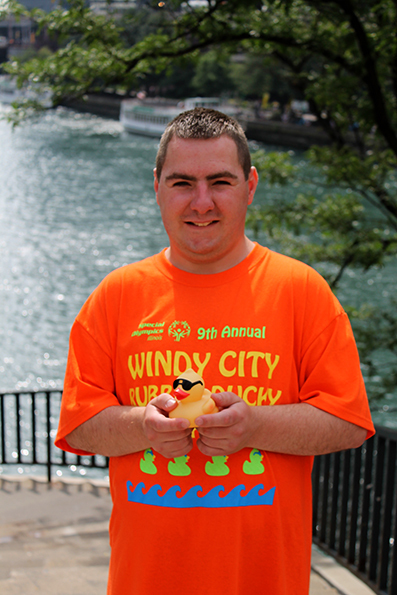 Ela was our 2014 Windy City Rubber Ducky Derby Ambassador and sold 1,991 ducks. With the support of her parents, Theresa and Stan, Ela made sure every donor received duck cookies with every purchase. That meant baking, frosting and delivering more than 1,000 duck-shaped cookies! Ela made sure she was involved in ALL the media interviews that started months before. She even attended a 6 a.m. interview the week before the event and was available all day for the Ducky Derby. Nick Lorenz sold 2,090 Ducks! Nick’s inaugural year as a member of the Global Messengers Darling Ducklings team was the most successful ever for one of our Global Messengers. He sold 2,090 ducks with support from his parents, Pam and Scott. They helped Nick’s efforts by going to festivals and baseball games telling his story and selling ducks. Nick was so inspiring that one donor gave $1,500 on the spot to support his fundraising efforts. Nick followed up with personalized thank you notes to his donors. 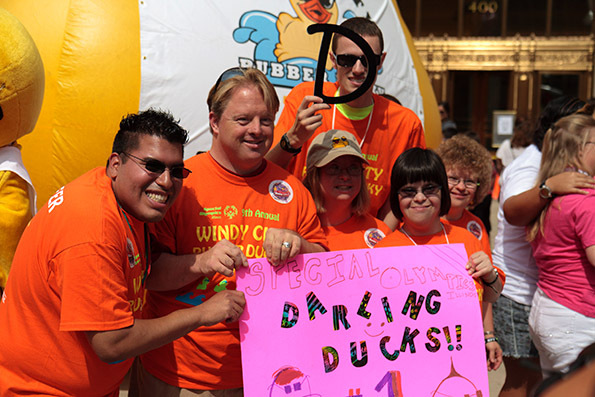 The entire Darling Ducklings team showed amazing leadership as they helped the organization by selling 10,752 ducks and raised $53,760 for Special Olympics Illinois. In addition to Nick and Ela, our three athlete board members – Eric Baumann, Kristen McInerney and Sarah Meents – are also leading the way as they remain dedicated to reach more individuals so they can experience the joy and power of Special Olympics!